Alright so this was my favourite game when I was a kid(around 12 years old)! Are you ready? well this game is non other than: Marvel Ultimate Alliance 1! As a kid I spent most of my time watching cartoons and stuff until one day this game was introduced to me. We spent hours playing this game together thanks to it's co-op mode! It's so fun that because of it, I never get hungry during my fasting period as we were all too busy playing this game to the extent that we overnight at a friend's house just to play the game on and on non stop (boy that must've cost alot for electrical bills!) and his parents actually had to stop us at 4 am in the morning to tell us to sleep, it was that much fun! Sadly, we played so much that after few weeks of playing it, my friend's xbox died and we couldn't play it anymore. ): the only reason why I couldn't complete the game. last year I tried to find the game all over singapore because I own an xbox 360 now but to no avail. Enough of my backstory, let's jump into the game! 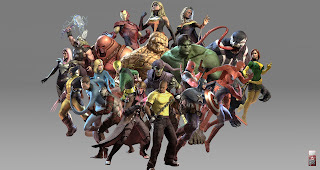 In this game, you can play as the many characters from the marvel comic books be it iron man, wolverine or even ghost rider! Yes the characters were that diverse and there are also unlockable characters in the game that makes it much much more fun. 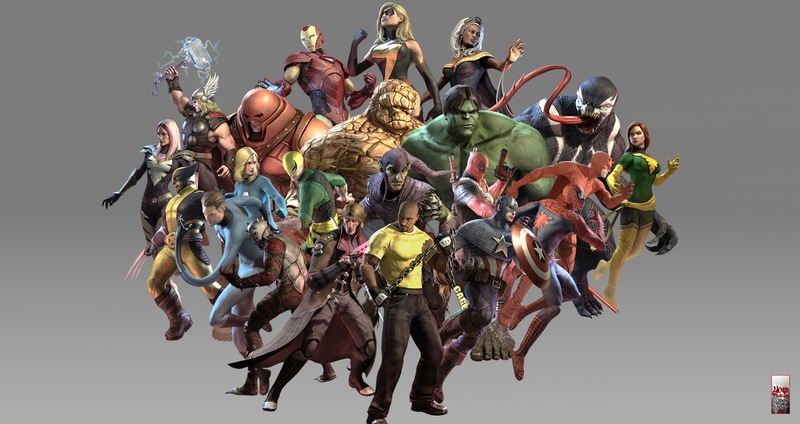 Each characters have their own special powers and special finishing move aka ulti. My favourite was iron man's airstrike! during the game you have to choose four different characters to take on the different quest across galaxies which is why it is much better to play this game with your friends! 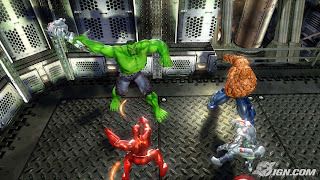 During gameplay you can switch characters with your friends or if you play alone, you can control any one of the four characters. strategize the use of different ultis to defeat the many different bosses that gets harder every level. Every time you defeat a goon, you get experience and the higher level you are, the stronger your skills get! play as your favourite hero with allies! As always, happy to write for all of you, your's faithfully, sincerely, with love, AL-STONER-IM.